This entry was posted on February 21, 2017 at 11:25 pm	and is filed under Uncategorized. 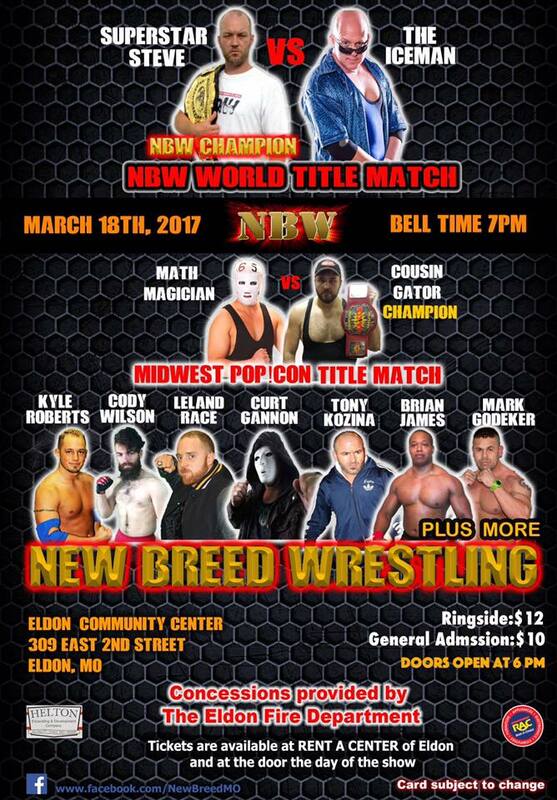 Tagged: "Bonesaw" Jessie Brook, "The Legacy" Leland Race, Cody Wilson, Cousin Gator, Curt Gannon, Eldon Missouri, Kyle Roberts, Mark Godecker, Math Magician, NBW, New Breed Wrestling, Steve Fender, The Iceman. You can follow any responses to this entry through the RSS 2.0 feed. You can leave a response, or trackback from your own site.